The other day, I walked into a morning meeting decidedly holiday'ed out. I had been up til the wee hours at some festive party or another and woke up feeling less than happy. Less than sober, even. And so, as soon as the meeting wrapped, I crossed the street into Dean & Deluca, that temple of fine foods and hot, fictional TV baristas in SoHo. 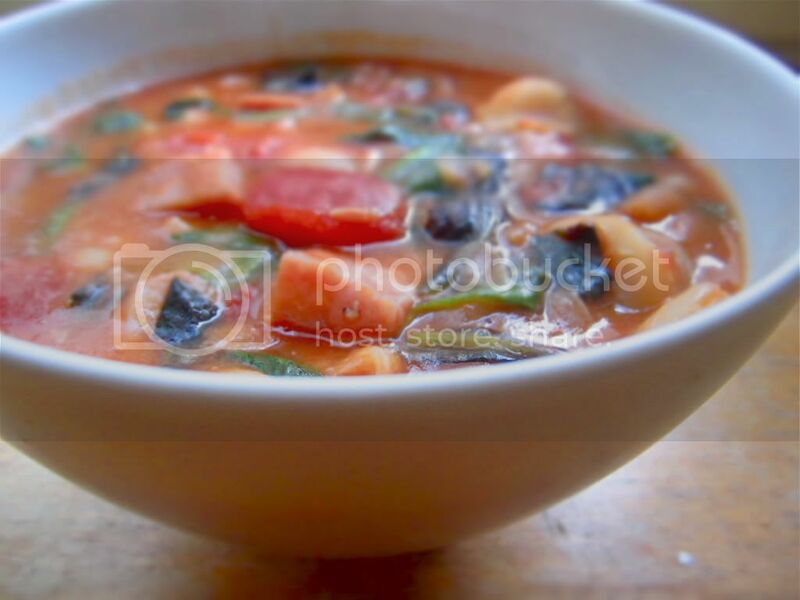 Wandering around, trying to figure out what to make that could possibly make me feel (and look) human again, I found myself unconsciously gathering the ingredients for a quick white bean stew. 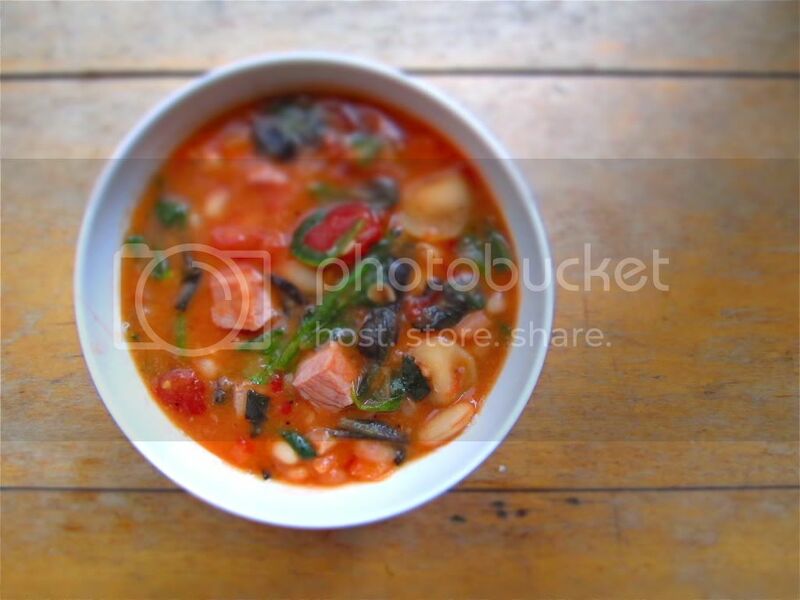 I make variations of this simple soup all the time, and know the components by heart--a couple of cans of cannellini beans, a can of tomatoes, a dark leafy green, a meat of some sort. Cook garlic in 1/4 cup oil in a 4- to 5-quart heavy post over moderately high heat, stirring until golden, 1 to 2 minutes. Coarsely cut up tomatoes in can with kitchen shears, then add (with juice) to garlic in oil. Stir in broth, beans, ham, and pepper and bring to a boil. Reduce heat and simmer, uncovered, 5 minutes. Stir in greens and cook until wilted, 3 minutes for romaine or 1 minute for arugula. Stir in a pinch of red pepper flakes to taste. Serve hot with toasted baguette slices. Oh my gosh, this is perfect for winter!! By the way, I found you through shopbop.com's Fashion Insider Favorite's post!